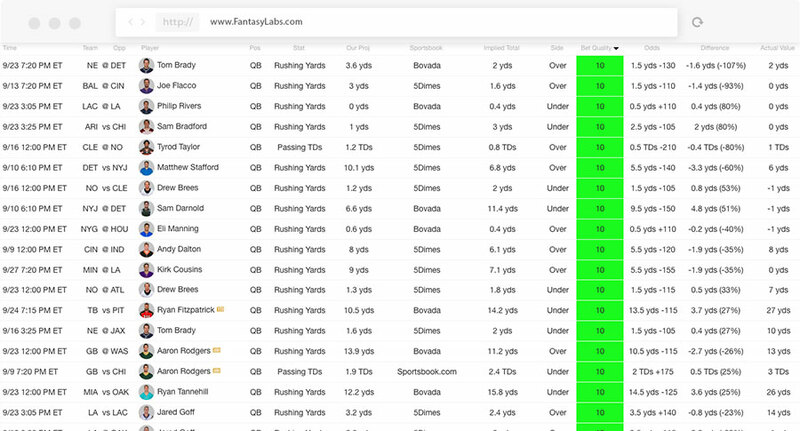 Our Player Props Tool compares our player projections against implied performance values from various sportsbooks to spot inefficiencies and measure accuracy. 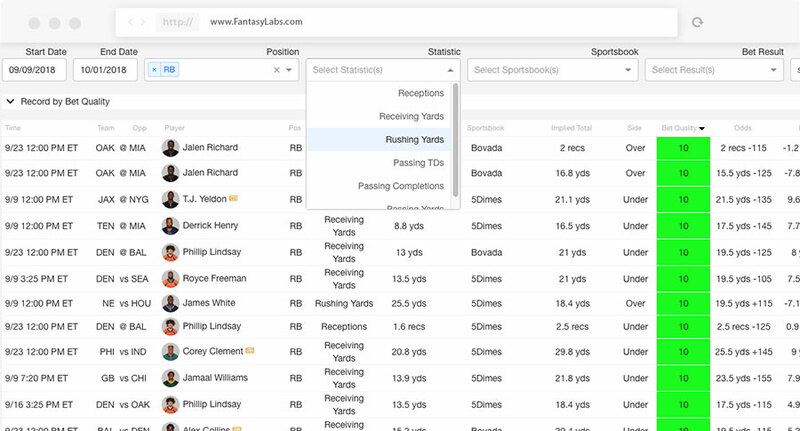 See real-time player props – totals and moneylines – across a variety of sportsbooks for the NFL, NBA and MLB. Seeing market inefficiencies allows you to leverage high-upside differentiating plays, with low projected ownership.